The Global InLoox Calendar shows you summary activities, activities and milestones from all your projects in one unified calendar view. 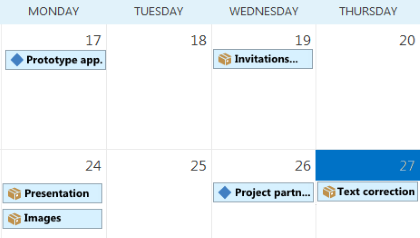 See at a glance what is pending in your projects for the coming days. Please see the regarding chapter for an in-depth description of the Global Calendar with all features. 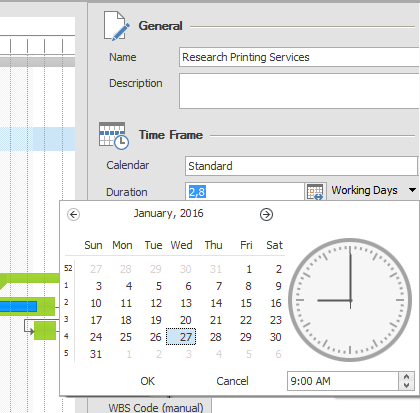 We slimmed down the user interface of the Gantt planning to give you a better overview. 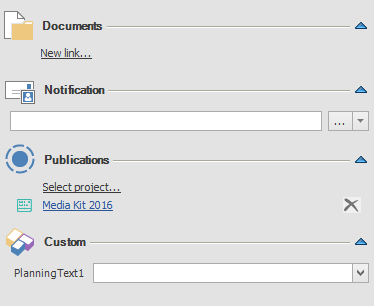 Tooltips explain any details of your project plan. To have a look at the tooltip, move the mouse over the regarding activity bar in the Gantt plan to see the name of the activity, its start and end date, the duration and the effort at a glance. You can now reuse single planning elements for other projects – e.g. for integrating elements of an annual plan into a department’s project. Please see the chapter Publication of planning elements to learn how to use planning elements in other projects and to learn more about the effects. If activities in the Gantt plan have to be finished at a certain due date, e.g. for an important presentation, you can now set this date directly in the project’s schedule. icon in the time frame section. Click on it and select the regarding due date from the calendar. 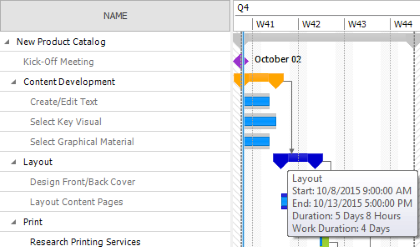 Improved project planning and scheduling features | InLoox 9 for Outlook • Copyright 1999-2019 © InLoox, Inc. All rights reserved.